I finished my undergraduate degree last month, and since then I’ve spent a few weeks travelling. 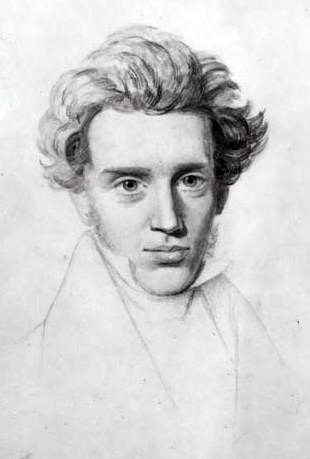 One of the stops was Copenhagen, where I decided to make Søren Kierkegaard a focal point of my wanderings: the Danish philosopher and father of existentialism whose work included Either/Or and Fear and Trembling. If you find yourself in Copenhagen, try to meander around the Frederiksberg Gardens — “that wonderful garden which for the child was the enchanted land where the king lived with the queen,” as Kierkegaard wrote in “Concluding Unscientific Postscript.” You can also contemplate his grave in Assistens Cemetery, see a 1918 bronze statue of him in the Royal Library Garden, and stroll along the “Lovers’ Lane” near Peblinge Lake that is the opening setting for The Seducer’s Diary. But if you’re not in Copenhagen, perhaps try to wander a little regardless. Walk, with or without direction, and walk yourself into your best thoughts as the Danish philosopher did. Like more of the same? Subscribe to the Tolstoy Therapy Newsletter and receive a round-up of the week’s articles every Sunday to enjoy with your coffee. Click here to subscribe or take a look at an example copy here.